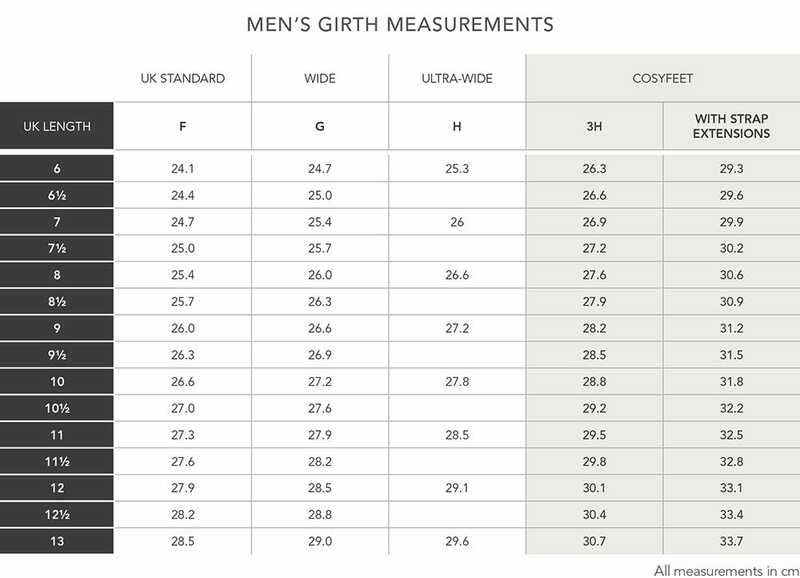 From September 2018, to ensure that we are consistent with UK shoe size charts (which didn’t exist when Cosyfeet started), we will be referring to our women’s EEEEE+ fitting as 6E and our men’s HH+ as 3H. Please be assured that the fit of our footwear will NOT alter in any way – we will simply change the way that we refer to it. It is also worth noting that due to the adjustability of a large number of Cosyfeet styles, many feet both below and above the 6E or 3H measurement can wear them securely. This is useful as feet can vary in how much they swell and it is sometimes necessary to have footwear which can be tightened or loosened during wear. If you have especially swollen feet, you can purchase additional strap extensions for most of our touch-fastening styles. 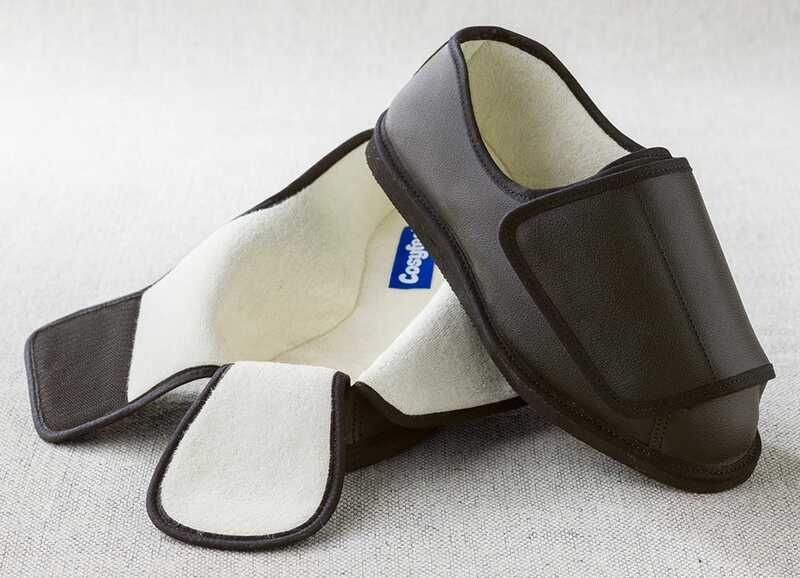 This will allow you to lengthen the straps on Cosyfeet footwear by as much as the equivalent of at least a 9E or 6H fitting. In extreme circumstances, some customers have used two sets of strap extensions which allows for even greater girth. 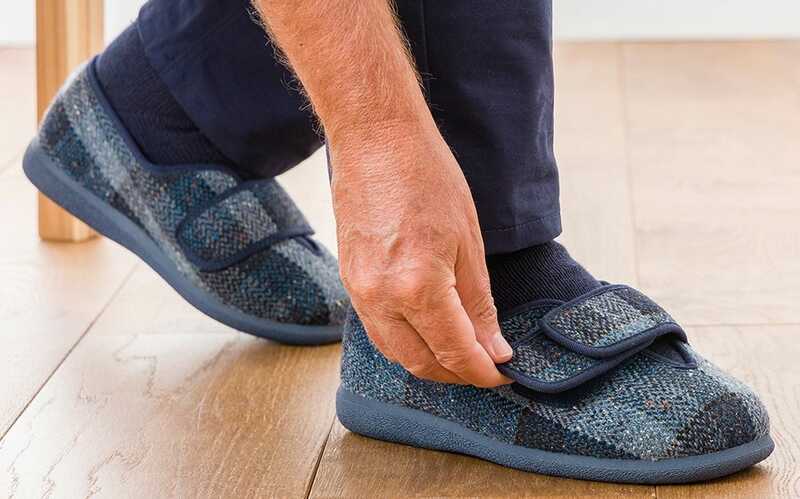 We also offer a last resort shoe called Rowan which is much roomier than the rest of our range and is designed to fit exceptional swelling and bandages and gives the equivalent of a 12E or 9H fitting. How does Cosyfeet comapre to other footwear?